Welcome to our website. 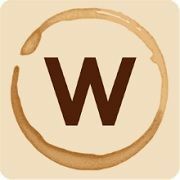 Here you will find all the answers to Word Mocha game (all levels are updated with the latest answers). Now you can connect this game with your social media account and can compete with your friends and family members. One of the benefits of connecting the game with your social media account is that you can save your progress online. For now, this game is available in just one language (English). But the developers are working on this and will upgrade this game soon. There are teams of programmers and IT experts in the studio waiting for you to play the game and leave the feedback so that they can improve the game.